Ray Kaiser and Charles Eames, arguably the most important pair of designers in context of post-War American modernism, met at the legendary Cranbrook Academy of Art in 1940 where Charles, at that time, was prepaing along with Eero Saarinenfor the MoMA's "Organic Design in Home Furnishings" contest. Ray Kaiser had previously studied painting in New York and enrolled at the Cranbrook Academy in 1940. Just one year later, Ray and Charles Eames married and founded their joint design studio Eames Office in Los Angeles that same year, through which they were active for over four decades until 1976. Born in St. Louis in 1907, Charles Eames died in 1978, Ray Eames followed him to the day exactly a year later. The creative period of the Eames Office officially extended from 1943 to 1976 and resulted in an extensive, and above all versatile, canon. 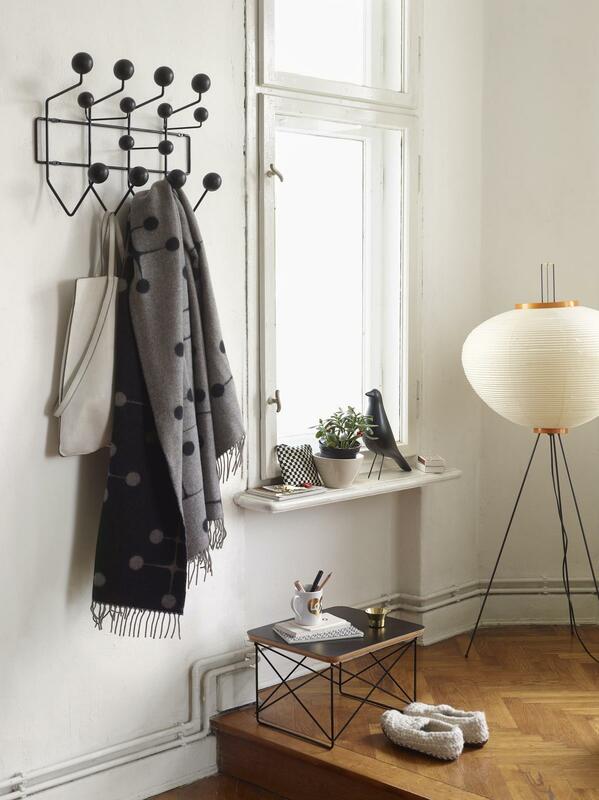 The Eames Collection consists of numerous smaller collections and individual pieces. 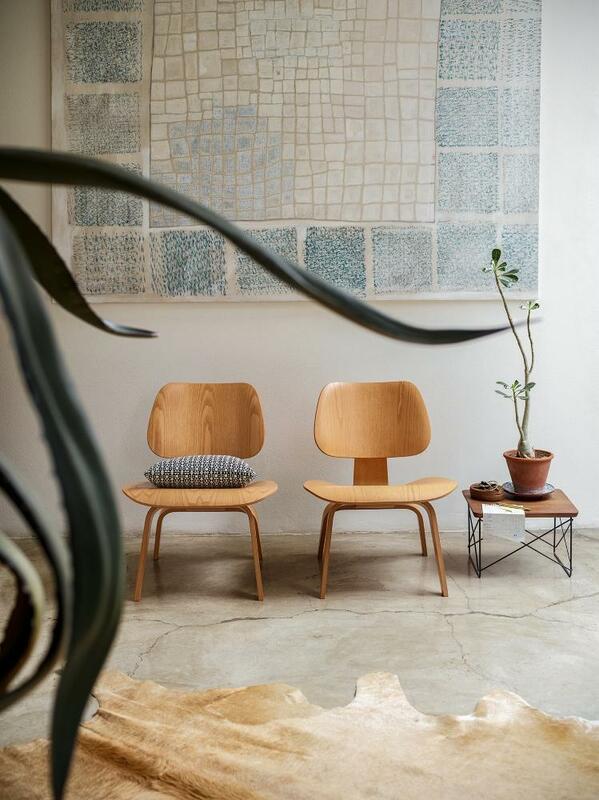 Earlier in their career, the Eames experimented with moulded plywood, developed thereby their first seating collection collection: the Eames Plywood Chairs. In the 1950s, following long plastic experiments, came the Eames Plastic Arm Chairs and Eames Plastic Side Chairs: materials and construction perfectly suited for mass-produced machine production, perfectly fulfilling Charles Eames' promise of "The most of the best of the greatest number of people for the least". 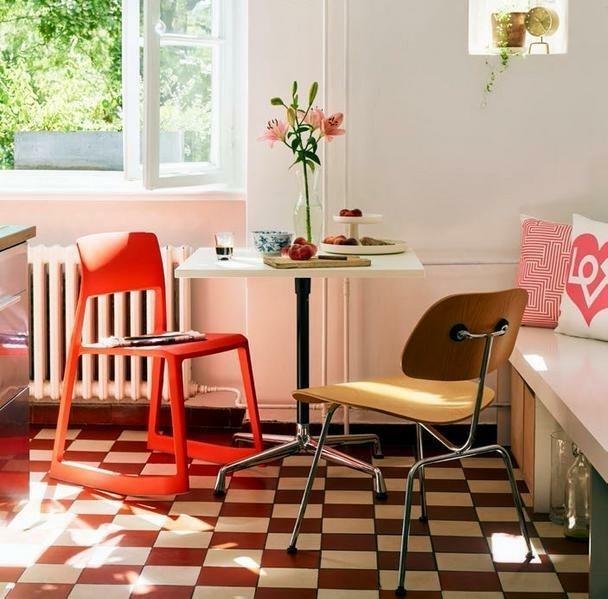 Originally made of fiberglass, in 1993 Vitra turned to production from environmentally friendly polypropylene; however, thanks to improved production methods, the Fiberglass Chair has recently returned to its original material. 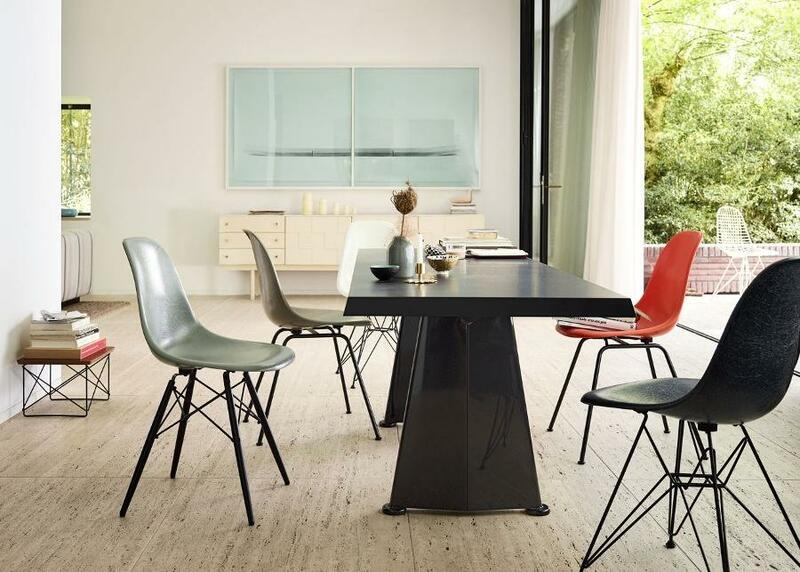 With the Aluminium Chairs, the Eames turned to a new material and developed a collection that is still undisputed at the forefront of upscale office furniture. 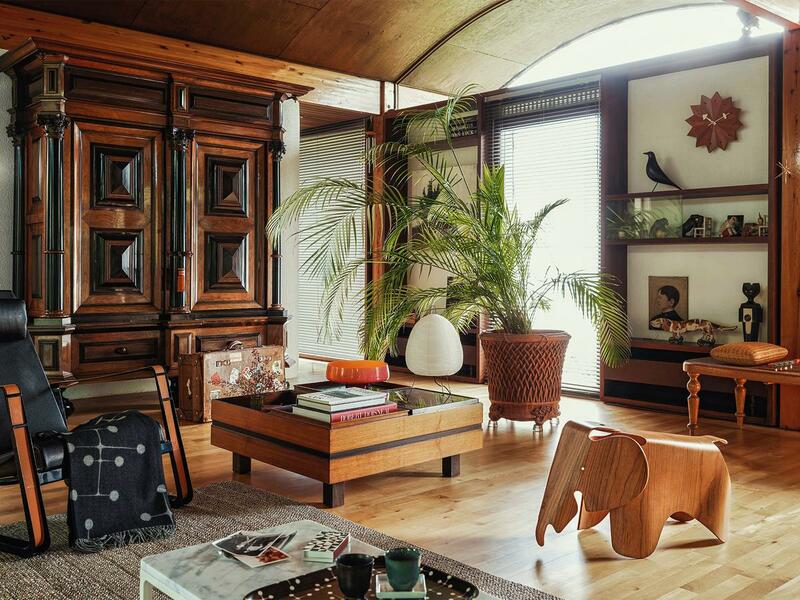 However, the large seating collections make up only a fraction of the Eames Collection, which includes not only Eames accessories, but also toys and work from other areas such as film, architecture and exhibition design. While the production of the Eames Collection in the USA was taken over by the established furniture manufacturer Herman Miller right from the start, Vitra founder Willi Fehlbaum accidentally discovered Eames Designs during a stay in New York: According to legend, he spied an Eames Plywood Chair in a shop window during a taxi ride in the eye. Spontaneously excited, he contacted Herman Miller and in 1957, eventually, acquired production licenses for the European region after long negotiations. The foundations were thus laid for a long, successful collaboration and a decade-long friendship between the Eames and the Fehlbaums. 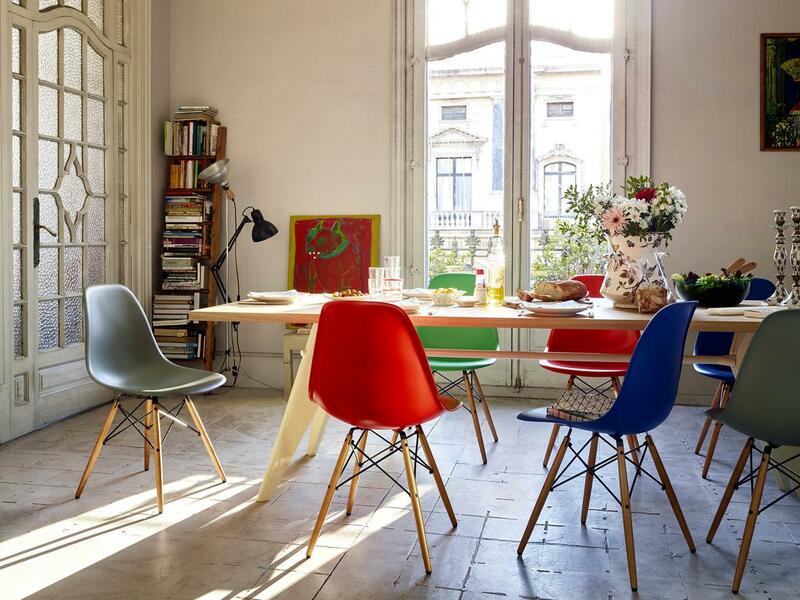 Finally, in 1984, Vitra acquired exclusive rights to all Eames designs for Europe and the Middle East. 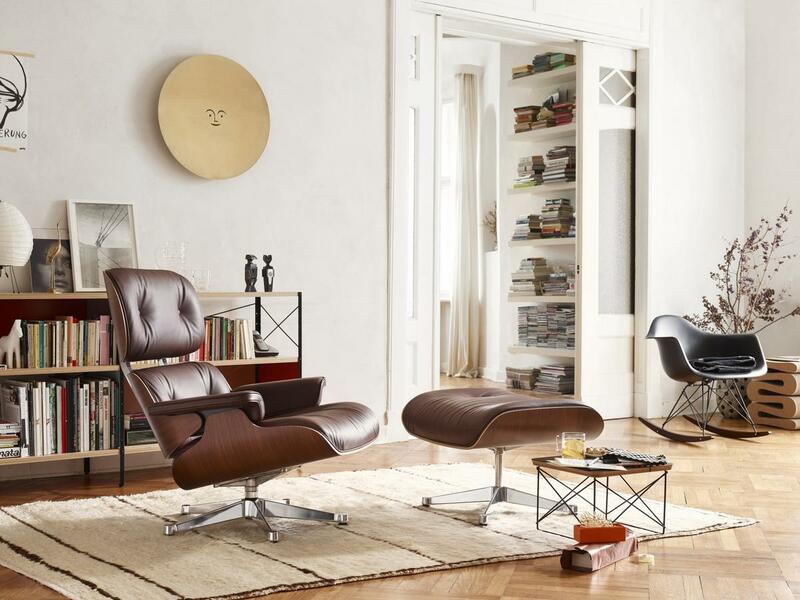 The Eames Collection, which grew steadily until 1976, is not only one of Vitra's most successful product ranges, but has had a decisive influence on the company philosophy over the years. The wealth of innovation in Charles and Ray Eames' work, their functional and timeless understanding of form and the versatility of their work continue to represent the factors that make high-quality design work stand out.